A new season of baseball has once again found it's way around. 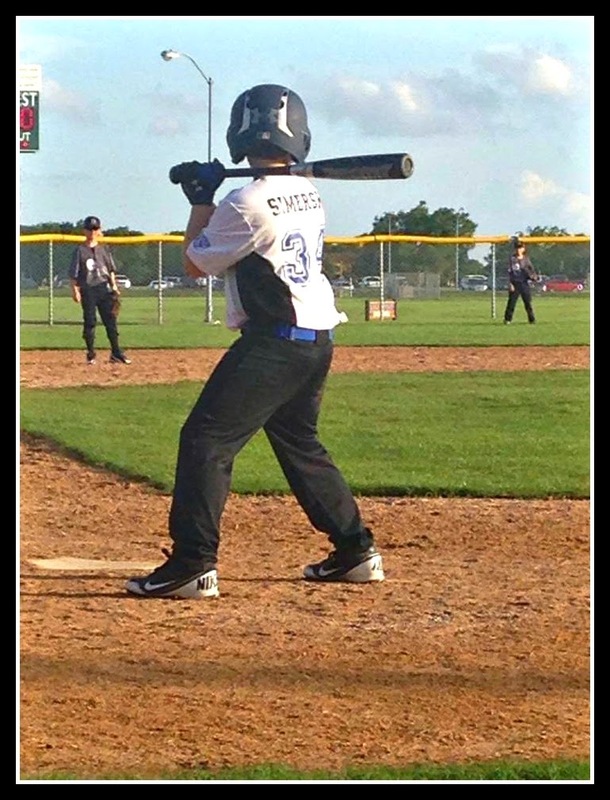 My son has loved the game of baseball since he was old enough to hold a bat and ball. We (his dad and him, sometimes me ;)) spent many days outside just throwing the ball back and forth. He was on a team for the first time when he was four. Isn't he just the cutest?! 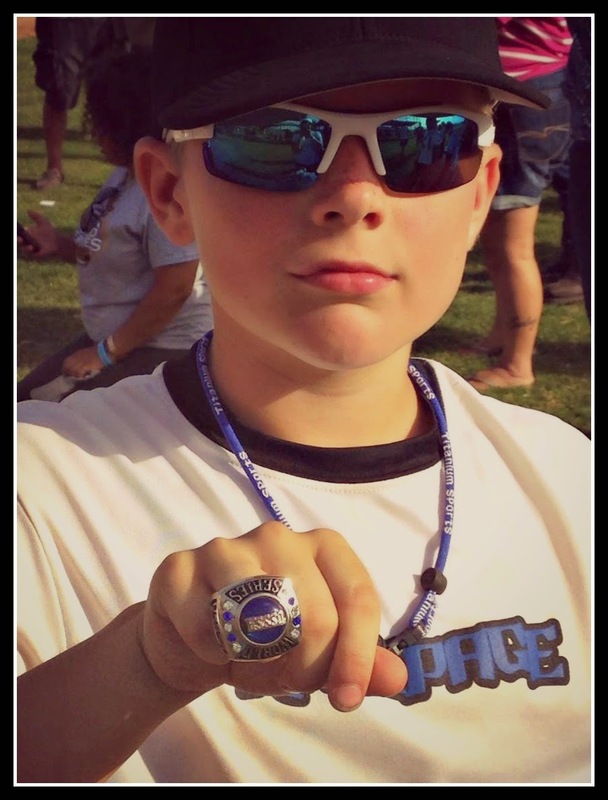 J is now 10 and had the incredible opportunity to play in the Texas Little League World Series this past summer. The weather, the team, the family that was able to come out, and the friends we were able to catch up with was A-mazing! The league consisted of eight thru twelve year olds that worked for weeks to raise the funds needed for registration, travel, and food fees. But there was one thing that put an dark overcast tone on the entire weekend. One by one like chickens being plucked from their hen houses in the night by a sneaky fox, teams started to be eliminated. But not in the way they should have. These teams were disqualified. Why? Their coaches wanted to win and take home the prize of the big trophy rings. Regardless of what it took to get them. They didn't think anyone would notice. They were swapping jerseys before and after games. Using kids that weren't on their team to ensure a win. Using pitchers too many times, which is against the rules, to guarantee they advanced to the next round. I wonder...what exactly are we teaching our kids when we are cheating at a little league game? I wish I had the gumption to walk over to them and ask them what they were thinking and doing. I would really like to know how they thought cheating was a good parenting decision and what exactly they thought it was teaching their kids? Baseball is a game as old as time itself. For the most part it's played with integrity and a code of honor. 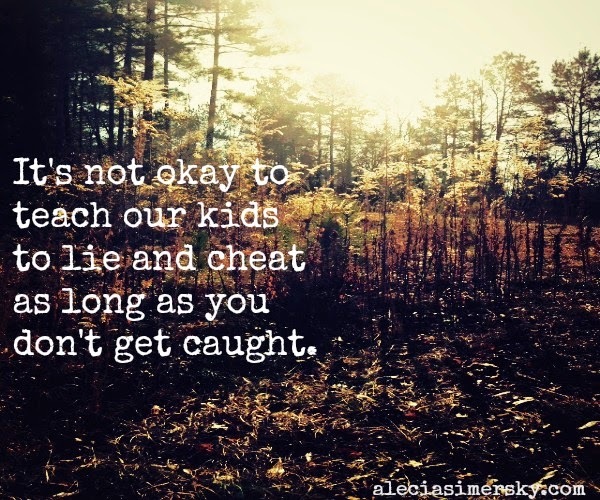 It's not okay to teach our kids to lie and cheat as long as you don't get caught. I get riled up over this because I see the next wave of kids. I also have a teenage daughter and most days leave me puzzled over how to best parent in this age of social media. It's my job as a parent to help them navigate their way through the social media, music, and TV-land mines. If as a parent I'm modeling all the wrong things is there any hope then for them NOT to follow in my footsteps? Our kids are listening and watching what WE do. They learn from US. There is a heavy weight of responsibility when you are a parent. I know I'm not a perfect parent (just ask my kids! ), and I pray despite me they will grow up to be honorable, good, and God-loving people. And a good place to practice honor and integrity can start at such places as a ball field. >>Will you share some ways you teach integrity to your kids? Hi, Alecia. He's a pretty cute boy with a cute name; a good friend's son shares the name. Isn't it crazy what parents do in sports sometimes!? Love the tweet! That's one to remember. So, I have on a few occasions required my children to make formal verbal apologies when they have behaved poorly in front of or toward other adults. And, I have donated toys if they were not being taken care of properly. It's a daily challenge to teach our kids the right things. I am sure you are doing a great job! Hey Hally! Some seasons I swear I think I have seen and heard it all! Parent's acting crazy at their kid's sporting event could be it's own tv reality show :). Thanks for your ideas. Making kids apologize is a great idea and one I need to start doing more often. My kids have their moments, like most. Hey Alecia ... I love what you said about modeling life for your kids. Integrity, honesty, gentleness, whatever. Those little ones are watching us, listening to what we're doing as well as what we're saying. Maybe that's why parenthood is such a high and holy calling. And so incredibly exhausting. It's good to be back here with you again, friend. Truly! SO OUT OF HAND!!!!! It amazes me how our kids sports have become about the 'parents' win or loss not the kids. IT DRIVES ME BATTY! (smile) seriously, I don't get it. There was a coach on our football team who would yell curse words to mainly a particular kid. I went to the top and they said, "oh, that is his own son". That made it even worse, I told them, if he is like that in public what is he doing behind closed doors? Us parents, coaches need to get a LIFE, teach our kids character, the game, good sportsmanship, on and on.......so frustrates me! As you can see I get a little 'riled' myself. YES! I have seen the same and more. It's almost like we morph into different people at these events. It only hurts the kids, that's what is so sad. I'm glad you're back, Linda. Parenting is hard and exhausting and all the things you said, sure wish they came with a guide book ;) .Looking forward to popping over to your place to see how your break went. So sad to hear about scandal in a kids' sports team. I think the strongest lessons my kids have seen regarding integrity and honesty have been when they see us honor a commitment even if it hurts, if our yes means yes and our no means no. Wow--pretty sad to see cheating even at that level. :( I totally agree that the places to practice integrity is in the real, down-to-earth places we live and play. Yes, even when it hurts. That's when it's the most important, isn't it? I agree. When it's practiced in the day to day, it won't be so hard when we are in public situations. 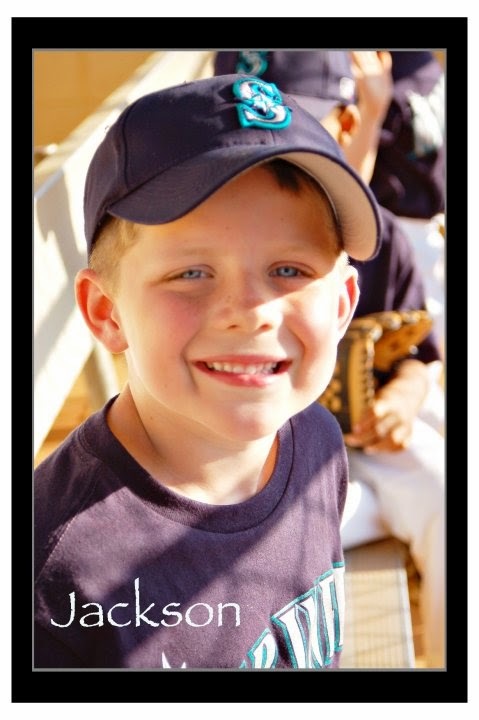 This was SO good, Alecia - it really ruffles my feathers too and experiences like this ruined baseball for my son. He came to me after a game once and asked me "why do my coaches say what they are going to do, but never do what they say?" It broke my heart - but it was a teachable moment and one that prompted the discussion on how we can't have a divided heart. We need to be the same person at home, as we are in the classroom, as we are on the playground - and that person has an audience of ONE who we need to be upright before. It's something that truly cuts to my heart as a teacher too - it goes for the kids and we need to model it as parents, as adults. Yes-I agree 1000% the same at home, work, church, ball field etc. It's not fair to ruin a child's experience-that really breaks my heart. With two sons playing baseball this summer, I completely understand. We played against some teams that cheated and didn't get caught. It was not a fun feeling to lose and know it wasn't honorable. That had to be so frustrating! We didn't think our cheaters would get caught, but I guess they got cocky because they ended up getting caught red-handed. I'm very thankful, I'm sure we would have felt the same way as you. What a cute name, "baseballandtutus"
Thanks. :) Lots of both at my house! 2 boys and 2 girls. "someone values winning as an identity more than integrity..." <== yes! I think that's it exactly. We all want to be seen as winners or be on the winning team and when we feel this is in danger some do things to the extreme to ensure their win. It is sad, but such a part of our culture. Thanks for taking time to stop by and leave your thoughts, Dolly! Alecia, I wholeheartedly agree with you!! And there are so many facets to integrity - I think we could literally teach it at every turn. I just had a talk with my daughter about keeping her promises. She made some promises just to get out of something and then had a hard time when I made her keep her promises. But she learned that word have power and it's so important to keep them because it builds trust.